As the international financial centre of China and the busiest port in the country, Shanghai offers a lot of opportunities for expats in the financial industry. It is also one of the most diverse cities in China, making it a good environment for expats to work and live in. Every year, millions of foreigners around the world flock to Shanghai and many of them aren't just visitors. 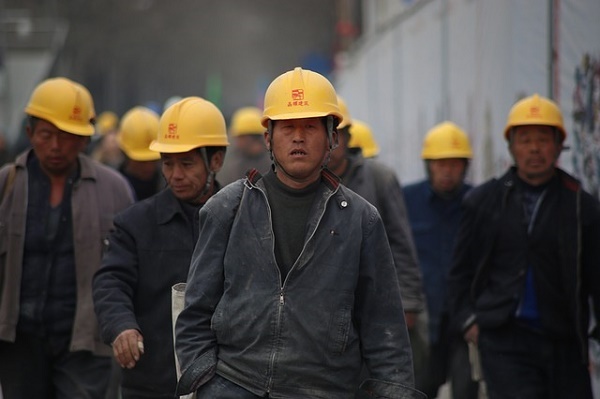 They come to work in the city that is believed to be responsible for China's emergence as the world's fastest growing economy. Indeed, Shanghai is at the centre of the world today, and many expatriates have found it too hard to resist. The job market in Shanghai is looking as vibrant as ever. But for an expat who truly wants to have an edge among other job hopefuls, mastery of Mandarin is essential. Foreigners can always work in multinational companies where English is often the more common language, and pay is the highest. Various positions await candidates in different areas of expertise with major job industries including the Agriculture Industry, the Architectural Industry and the Service Industries. There are two options one may choose from when taking an English teaching job in Shanghai - work for a school or university or work as a freelancer. While the former can offer job security, the latter allows for a lot of freedom for the expat who can even take other jobs at the same time to boost his income. The employment rate is 83.2%, and the expat population is quite high, making up 71% of the total population. Either way, Shanghai's low unemployment rate is a sign of good things to come, and this includes a great availability of jobs for expats. One thing expats must remember when you move to Shanghai is to show an interest in learning the native language. Foreigners may not be expected to speak good Mandarin or any other local dialect, but somebody who tries is always appreciated. When having business cards printed, it is also expected that expats have their Chinese names and job titles written on the back of their cards as a sign of courtesy to their Shanghainese colleagues. Public displays of anger should be avoided. However, an honest opinion stated politely is an accepted practice. Corporate meetings will usually be attended by executives in suits with business cards given with both hands. Shanghainese pay great respect for seniority. Although Shanghai is hardly provincial, women are still expected to display conservative behaviour at work. In Shanghai, local companies pay around RMB 1000 - 2000 a month and the average annual pay for executive positions is RMB 38,447 (US$ 4,632). Most expats, however, are setting their sights on the Fortune 500 companies such as IBM, Intel and HP where pay is most definitely higher, usually up to RMB 100,00 - 200,000 per year. Teaching positions also pay pretty well, although salaries will depend on experience level and certifications. An entry level wage would be about RMB 6000 - 8000 RMB per month including accommodation, although the average monthly wage is RMB 29,006. A Master's Degree and a TEFL or TESOL certification could earn someone over RMB 10,000 monthly. All three holidays go into a week-long vacation, but the law requires employees to work on the weekend that comes before, hence, reducing the number of days off to only three. Shanghai does have a horde of pleasant surprises not only for those who have come for a visit, but for those who have relocated and always believed that this city is worth calling their home.